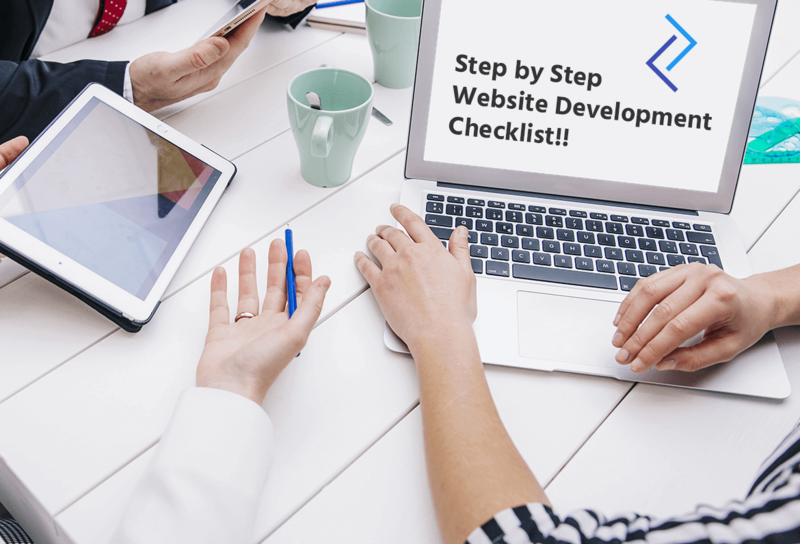 Step by Step Website Development Checklist!! HomeNewsStep by Step Website Development Checklist!! Website Development is a long and tedious task. To make sure that your website is built to perfection one needs to keep track of every step of the process. It is a complicated task, thus having a checklist before hand can come in handy. Everything from designing, prototypes, coding, programming and testing has to be included in the checklist so that each step can be checked easily. This list helps you focus of the important parts of the site as it covers multiple areas important to website development. The first and foremost step is to determine the purpose and the goal of the website. What is the requirement for the website? Is it an eCommerce store to sell items online? or is it an informative website or a blog with regular updates? Along with the above questions the target audience and market should also be researched to get a better understanding of the whole website. What is the main business? What services do you wish to provide in this website? Is there a budget set for this website? These questions will help you form a basic understanding of the website which is of paramount importance before starting the any development as it gives a clear idea of what is required and this will be easier to achieve. This is the second part of the list which focuses on things you need to make sure prior to starting your project. Here the basic features of the website are to be identified so that the designer and developer can plan accordingly. These questions are important as it will help the designers and the developers guidance before starting the project. After this step the designing of the website will start. The wire framing and designing are the first step in the website development phase. The designer makes the wireframes for the client which will show the flow of the website and then once approved will start for the designing phase. The challenge is to balance form and function of the website. The look and feel of the website is the most important part as the user will be focusing on this part of the website. Do the website colors match with the logo colors? Is the flow clear to the users? Is the design easy to navigate for the user? How does the design encourage the users to take an action? These questions help the designers understand the website and thus plan the website accordingly thus making it easier for the client to use. This is the main part of the whole project. Once the designs are locked in the development of the website begins. The Developer converts the designs into working modules for the website. Depending on the tool decided earlier the developer begins to code the website. Has the correct theme/design been implemented? Is the work being stored in a local server? Are all functionalities working fine? Are the pages optimized for both web and mobile? Is the content related to the pages correct? These questions help you to know if the site is being developed perfectly or not. After the development phase comes the testing phase. In this phase you have to make sure that the whole website is working properly. Every module, every page is working to its optimum best thus providing the user with the best possible website. Has every page been tested? Are all links correct and working? Is all the content in the website correct? Are there any missing data or errors in the website? Has the website been optimized? These questions will help you know if website is complete or not. Before launching the website to the user all over the world we need to make sure it has been tested so that the users do not have any problems while using the website. Finally the last step is the launch and maintenance of the website. This is a very important step as after the launch the work is not completed. The site needs to be maintained round the clock in order for it to be working properly for the users. It is a long term responsibility and thus needs to be looked after every day as the proper maintenance and updates helps attract new user and also helps in holding on to old users. Is the website updates with the current theme? These questions need to be answered on a regular basis in order to keep the website live and working. The user should not face any problems while using the website hence we have to keep an eye on the website to keep it perfect. This is the basic checklist every user/programmer should take into consideration when building a website. If all the above questions are answered and every single point is taken care of then the website will work perfectly and will be cause no problem to the user. By following these steps you can easily manage the development of the website and the maintenance of it after. When the clients will be satisfied with the experience of the website they will value of it.